More and more adults and teens are looking for alternatives to fixing poor bites and misalignments in their smile. In many cases, traditional braces aren’t necessary, especially if there are only minor adjustments needed to be made. With this new interest comes many questions. That’s why your dentist is answering a few of the most common ones he hears at the practice. If you’re unsure about starting Invisalign in Wharton, keep reading; you just might have your question answered. 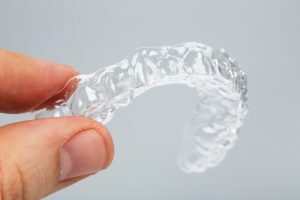 Is Invisalign More Expensive than Traditional Orthodontics? The cost of traditional braces vs. Invisalign depends on multiple factors, including the length of treatment, the number of appointments made for adjustments, your insurance coverage, and the severity of your case. For this reason, getting an accurate price is best done via an Invisalign consultation with your dentist. With that being said, both treatments hover around the $5,000 range. On the lower end, braces and Invisalign can cost as little as $1,800, but that depends on what coverage your dental insurance provides. Invisalign is not inherently more expensive than traditional braces, especially when braces usually require more dental visits for adjustments. This can increase the overall cost compared to the series of aligners patients have regular access too, without visiting their dentist. The length of treatment also varies on a case-by-case basis. If you have more severe misalignments compared to other patients, you’ll need to wear them for longer. If your misalignment is milder, you’ll wear them for less time. Of course, this length also depends on how dedicated you are to wear your aligners. Dentists recommend patients were aligners for at least 22 to 23 hours per day for the fastest and most effective results. On average, Invisalign treatment can take anywhere from 10 to 18 months to complete. This is still typically shorter than traditional braces, which take a minimum of 18 months to achieve any results. Additionally, Invisalign gives you more freedom than braces which are non-removable. Once your treatment is complete, you’ll need to wear a retainer to keep your smile looking straight. In the first month or so after finishing treatment, your teeth are very susceptible to shifting back to their original position. For this reason, it’s essential that you wear a retainer for the first month or so during the day and at night. Once your dentist determines that you’ve worn them long enough, they’ll likely tell you to only wear your retainer at night from now on. Think of it as a nightguard, instead it protects your teeth from shifting back to their crooked position. Have more questions about Invisalign in Wharton? Your dentist is more than happy to help! Schedule a consultation with them today to see if treatment is right for you! Dr. David Tripulas earned his Doctor of Dental Surgery degree from the University of Texas Health Science Center Dental Branch. He’s also a member of the American Academy of Cosmetic Dentistry and continues his education to provide patients the best care possible. To learn more about is practice, contact him through his website.